Edward James Hughes OM OBE FRSL (17 August 1930 – 28 October 1998) was an English poet and children's writer. Critics frequently rank him as one of the best poets of his generation, and one of the twentieth century's greatest writers. He served as Poet Laureate from 1984 until his death. In 2008 The Times ranked Hughes fourth on their list of "The 50 greatest British writers since 1945". Hughes was married to American poet Sylvia Plath from 1956 until her suicide in 1963 at the age of 30. Some feminists and some American admirers of Plath, among others, blamed him for her death after the revelation of letters written by Plath between 18 February 1960 and 4 February 1963, which claim that Hughes beat Plath two days before she had a miscarriage in 1961, and that he also told Plath he wished that she was dead. His last poetic work, Birthday Letters (1998), explored their complex relationship. These poems make reference to Plath's suicide, but none addresses directly the circumstances of her death. A poem discovered in October 2010, "Last Letter", describes what happened during the three days before her death. Hughes was born at 1 Aspinall Street, in Mytholmroyd in the West Riding of Yorkshire, to William Henry (1894–1981) and Edith (Farrar) Hughes (1898–1969), and raised among the local farms of the Calder Valley and on the Pennine moorland. Hughes's sister Olwyn Marguerite Hughes (1928–2016) was two years older and his brother Gerald (1920–2016) was ten years older. His mother could trace her ancestry back to William de Ferrières, who came to England with William the Conqueror in the 11th century. One of her ancestors had founded the religious community at Little Gidding in Cambridgeshire. Most of the more recent generations of his family had worked in the clothing and milling industries in the area. Hughes's father, William, a joiner, was of Irish descent and had enlisted with the Lancashire Fusiliers and fought at Ypres. He narrowly escaped being killed when a bullet lodged in a pay book in his breast pocket. He was one of just 17 men of his regiment to return from the Dardanelles Campaign (1915–16). The stories of Flanders fields filled Hughes's childhood imagination (later described in the poem "Out"). Hughes noted, "my first six years shaped everything." Hughes loved hunting and fishing, swimming and picnicking with his family. He attended the Burnley Road School until he was seven, when his family moved to Mexborough, then attending Schofield Street junior school. His parents ran a newsagent's and tobacconist's shop. In Poetry in Making he recalled that he was fascinated by animals, collecting and drawing toy lead creatures. He acted as retriever when his elder brother gamekeeper shot magpies, owls, rats and curlews, growing up surrounded by the harsh realities of working farms in the valleys and on the moors. During his time in Mexborough he explored Manor Farm at Old Denaby, which he said he would come to know "better than any place on earth". His earliest poem "The Thought Fox", and earliest story "The Rain Horse" were recollections of the area. A close friend at the time, John Wholly, took Hughes to the Crookhill estate above Conisbrough where the boys spent great swathes of time. Hughes became close to the family and learnt a lot about wildlife from Wholly's father, a gamekeeper. He came to view fishing as an almost religious experience. Hughes attended Mexborough Grammar School, where a succession of teachers encouraged him to write, and develop his interest in poetry. Teachers Miss McLeod and Pauline Mayne introduced him to the poets Hopkins and Eliot. Hughes was mentored by his sister Olwyn, who was well versed in poetry, and another teacher, John Fisher. Poet Harold Massingham also attended this school and was also mentored by Fisher. In 1946 one of Hughes's early poems, "Wild West" and a short story were published in the grammar school magazine The Don and Dearne, followed by further poems in 1948. By 16 he had no other thought than being a poet. During the same year Hughes won an open exhibition in English at Pembroke College, Cambridge, but chose to do his National Service first. His two years of National Service (1949–51) passed comparatively easily. Hughes was stationed as a ground wireless mechanic in the RAF on an isolated three-man station in east Yorkshire, a time during which he had nothing to do but "read and reread Shakespeare and watch the grass grow". He learnt many of the plays by heart and memorised great quantities of W. B. Yeats's poetry. In 1951, Hughes initially studied English at Pembroke College under M.J.C. Hodgart, an authority on balladic forms. Hughes felt encouraged and supported by Hodgart's supervision, but attended few lectures and wrote no more poetry at this time, feeling stifled by literary academia and the "terrible, suffocating, maternal octopus" of literary tradition. He wrote, "I might say, that I had as much talent for Leavis-style dismantling of texts as anyone else, I even had a special bent for it, nearly a sadistic streak there, but it seemed to me not only a foolish game, but deeply destructive of myself." In his third year, he transferred to anthropology and archaeology, both of which would later inform his poetry. He did not excel as a scholar. His first published poetry appeared in Chequer. A poem "The little boys and the seasons", written during this time, was published in Granta, under the pseudonym Daniel Hearing. After university, living in London and Cambridge, Hughes went on to have many varied jobs including working as a rose gardener, a nightwatchman and a reader for the British film company J. Arthur Rank. He worked at London Zoo as a washer-upper, a post that offered plentiful opportunities to observe animals at close quarters. On 25 February 1956, Hughes and his friends held a party to launch St. Botolph's Review, which had a single issue. In it Hughes had four poems. At the party he met the American poet Sylvia Plath, who was studying at Cambridge on a Fulbright Scholarship. She had already published extensively, having won various awards, and had come especially to meet Hughes and his fellow poet Lucas Myers. There was a great mutual attraction but they did not meet again for another month, when Plath was passing through London on her way to Paris. She visited him again on her return three weeks later. Hughes and Plath dated and then were married at St George the Martyr Holborn, on 16 June 1956, four months after they had first met. The date, Bloomsday, was purposely chosen in honour of James Joyce. Plath's mother was the only wedding guest and she accompanied them on their honeymoon to Benidorm on the Spanish coast. Hughes's biographers note that Plath did not relate her history of depression and suicide attempts to him until much later. Reflecting later in Birthday Letters, Hughes commented that early on he could see chasms of difference between himself and Plath, but that in the first years of their marriage they both felt happy and supported, avidly pursuing their writing careers. On returning to Cambridge, they lived at 55 Eltisley Avenue. That year they each had poems published in The Nation, Poetry and The Atlantic. Plath typed up Hughes's manuscript for his collection Hawk In The Rain which went on to win a poetry competition run by the Poetry centre of the Young Men's and Young Women's Hebrew Association of New York. The first prize was publication by Harper, garnering Hughes widespread critical acclaim with the book's release in September 1957, and resulting in him winning a Somerset Maugham Award. The work favoured hard-hitting trochees and spondees reminiscent of middle English – a style he used throughout his career – over the more genteel latinate sounds. The couple moved to America so that Plath could take a teaching position at her alma mater, Smith College; during this time Hughes taught at the University of Massachusetts, Amherst. In 1958 they met Leonard Baskin, who would later illustrate many of Hughes's books, including Crow. The couple returned to England, staying for a short while back in Heptonstall and then finding a small flat in Primrose Hill, London. They were both writing, Hughes working on programmes for the BBC as well as producing essays, articles, reviews and talks. During this time he wrote the poems that would be published in Wodwo (1967) and Recklings (1966). In March 1960 Lupercal came out and won the Hawthornden Prize. He found he was being labelled as the poet of the wild, writing only about animals. He began to seriously explore myth and esoteric practices within as shamanism, Buddhism and alchemy, perceiving that imagination could heal dualistic splits in the human psyche and poetry was the language of the work. Hughes and Plath had two children, Frieda Rebecca (b. 1960) and Nicholas Farrar (1962–2009) and, in 1961, bought the house Court Green, in North Tawton, Devon. In the summer of 1962 Hughes began an affair with Assia Wevill who had been subletting the Primrose Hill flat with her husband. Under a cloud of his affair, Hughes and Plath separated in the autumn of 1962 and she set up life in a new flat with the children. In 2017 previously unpublished letters were described in which Plath accuses Hughes of physically abusing her months before she miscarried their second child in 1961. In the years soon after [Plath's] death, when scholars approached me, I tried to take their apparently serious concern for the truth about Sylvia Plath seriously. But I learned my lesson early... If I tried too hard to tell them exactly how something happened, in the hope of correcting some fantasy, I was quite likely to be accused of trying to suppress Free Speech. In general, my refusal to have anything to do with the Plath Fantasia has been regarded as an attempt to suppress Free Speech...The Fantasia about Sylvia Plath is more needed than the facts. Where that leaves respect for the truth of her life (and of mine), or for her memory, or for the literary tradition, I do not know. As Plath's widower, Hughes became the executor of Plath's personal and literary estates. He oversaw the publication of her manuscripts, including Ariel (1966). Some critics were dissatisfied by his choice of poem order and omissions in the book and some feminists argued that Hughes had essentially driven her to suicide and therefore should not be responsible for her literary legacy. He claimed to have destroyed the final volume of Plath's journal, detailing their last few months together. In his foreword to The Journals of Sylvia Plath, he defends his actions as a consideration for the couple's young children. Following Plath's suicide, he wrote two poems "The Howling of Wolves" and "Song of a Rat" and then did not write poetry again for three years. He broadcast extensively, wrote critical essays and became involved in running Poetry International with Patrick Garland and Charles Osborne in the hopes of connecting English poetry with the rest of the world. In 1966, he wrote poems to accompany Leonard Baskin's illustrations of crows, which became the epic narrative The Life and Songs of the Crow, one of the works for which Hughes is best known. On 23 March 1969, six years after Plath's suicide by asphyxiation from a gas stove, Assia Wevill committed suicide in the same way. Wevill also killed her child, Alexandra Tatiana Elise (nicknamed Shura), the four-year-old daughter of Hughes, born on 3 March 1965. Their deaths led to claims that Hughes had been abusive to both Plath and Wevill. In shock, Hughes could not finish the Crow sequence, which remained unfinished until the work Cave Birds was published in 1975. In August 1970, Hughes married Carol Orchard, a nurse, and they remained together until his death. He bought the house Lumb Bank near Hebden Bridge, West Yorkshire, and maintained the property at Court Green. He began cultivating a small farm near Winkleigh, Devon called Moortown, a name which became embedded in the title of one of his poetry collections. He later became President of the charity Farms for City Children, established by his friend Michael Morpurgo in Iddesleigh. In October 1970 Crow was published. In 1970, he and his sister, Olwyn (26 August 1928 – 3 January 2016), set up the Rainbow Press, which published sixteen titles between 1971 and 1981, comprising poems by Sylvia Plath, Ted Hughes, Ruth Fainlight, Thom Gunn and Seamus Heaney, printed by Daedalus Press, Rampant Lions Press and the John Roberts Press. Hughes was appointed Poet Laureate in December 1984, following Sir John Betjeman. A collection of animal poems for children had been published by Faber earlier that year, What is the Truth?, illustrated by R. J. Lloyd. For that work he won the annual Guardian Children's Fiction Prize, a once-in-a-lifetime book award. Hughes wrote many works for children and collaborated closely with Peter Brook and the National Theatre Company. He dedicated himself to the Arvon Foundation which promotes writing education and runs residential writing courses at Hughes's home at Lumb Bank, West Yorkshire. In 1993, he made a rare television appearance for Channel 4, which included him reading passages from his 1968 novel "The Iron Man". He also featured in the 1994 documentary Seven Crows A Secret. In early 1994, Hughes became increasingly alarmed by the decline of fish in rivers local to his Devonshire home. This concern inspired him to become one of the original trustees of the Westcountry Rivers Trust, a charity set up to restore rivers through catchment-scale management and a close relationship with local landowners and riparian owners. Hughes was appointed a member of the Order of Merit by Queen Elizabeth II just before he died. He continued to live at the house in Devon, until suffering a fatal myocardial infarction on 28 October 1998 while undergoing hospital treatment for colon cancer in Southwark, London. His funeral was held on 3 November 1998, at North Tawton church, and he was cremated in Exeter. Speaking at the funeral, fellow poet Seamus Heaney, said: "No death outside my immediate family has left me feeling more bereft. No death in my lifetime has hurt poets more. He was a tower of tenderness and strength, a great arch under which the least of poetry's children could enter and feel secure. His creative powers were, as Shakespeare said, still crescent. By his death, the veil of poetry is rent and the walls of learning broken." Nicholas Hughes, the son of Hughes and Plath, died by suicide in his home in Alaska on 16 March 2009 after suffering from depression. Carol Hughes announced in January 2013 that she would write a memoir of their marriage. The Times headlined its story "Hughes's widow breaks silence to defend his name" and observed that "for more than 40 years she has kept her silence, never once joining in the furious debate that has raged around the late Poet Laureate since the suicide of his first wife, the poet Sylvia Plath." A memoir by Hughes's brother Gerald was published late in 2014, Ted and I: A Brother's Memoir, which Kirkus Reviews calls "a warm recollection of a lauded poet". In 2017, it was revealed that letters written by Plath between 18 February 1960 and 4 February 1963 claim that Hughes beat Plath two days before she had a miscarriage in 1961, and that Hughes told Plath he wished that she was dead. The letters were sent to Dr. Ruth Barnhouse (then Dr. Ruth Beuscher). Hughes's first collection, The Hawk in the Rain (1957), attracted considerable critical acclaim. In 1959 he won the Galbraith prize, which brought $5,000. His most significant work is perhaps Crow (1970), which whilst it has been widely praised also divided critics, combining an apocalyptic, bitter, cynical and surreal view of the universe with what sometimes appeared simple, childlike verse. Crow was edited several times across Hughes' career. Within its opus he created a cosmology of the totemic Crow who was simultaneously God, Nature and Hughes' alter ego. The publication of Crow shaped Hughes' poetic career as distinct from other forms of English Nature Poetry. In a 1971 interview with The London Magazine, Hughes cited his main influences as including Blake, Donne, Hopkins and Eliot. He mentioned also Schopenhauer, Robert Graves's book The White Goddess and The Tibetan Book of the Dead. Hughes worked for 10 years on a prose poem, "Gaudete", which he hoped to have made into a film. It tells the story of the vicar of an English village who is carried off by elemental spirits, and replaced in the village by his enantiodromic double, a changeling, fashioned from a log, who nevertheless has the same memories as the original vicar. The double is a force of nature who organises the women of the village into a "love coven" in order that he may father a new messiah. When the male members of the community discover what is going on, they murder him. The epilogue consists of a series of lyrics spoken by the restored priest in praise of a nature goddess, inspired by Robert Graves's White Goddess. It was printed in 1977. Hughes was very interested in the relationship between his poetry and the book arts, and many of his books were produced by notable presses and in collaborative editions with artists, for instance with Leonard Baskin. In addition to his own poetry, Hughes wrote a number of translations of European plays, mainly classical ones. His Tales from Ovid (1997) contains a selection of free verse translations from Ovid's Metamorphoses. He also wrote both poetry and prose for children, one of his most successful books being The Iron Man, written to comfort his children after Sylvia Plath's suicide. It later became the basis of Pete Townshend's rock opera of the same name, and of the animated film The Iron Giant. Hughes was appointed Poet Laureate in 1984 following the death of John Betjeman. It was later known that Hughes was second choice for the appointment. Philip Larkin, the preferred nominee, had declined, because of ill health and a loss of creative momentum, dying a year later. Hughes served in this position until his death in 1998. In 1992 Hughes published Shakespeare and the Goddess of Complete Being, a monumental work inspired by Graves's The White Goddess. The book, considered Hughes's key work of prose, had a mixed reception "divided between those who considered it an important and original appreciation of Shakespeare’s complete works, whilst others dismissed it as a lengthy and idiosyncratic appreciation of Shakespeare refracted by Hughes’s personal belief system". Hughes himself later suggested that the time spent writing prose was directly responsible for a decline in his health. Also in 1992 Hughes published Rain Charm for the Duchy, collecting together for the first time his Laureate works, including poems celebrating important royal occasions. The book also contained a section of notes throwing light on the context and genesis of each poem. In 1998, his Tales from Ovid won the Whitbread Book Of The Year Award. In Birthday Letters, his last collection, Hughes broke his silence on Plath, detailing aspects of their life together and his own behaviour at the time. The book, the cover artwork for which was by their daughter Frieda, won the 1999 Whitbread Prize for poetry. Hughes's definitive 1,333-page Collected Poems (Faber & Faber) appeared (posthumously) in 2003. A poem discovered in October 2010, "Last letter", describes what happened during the three days leading up to Plath's suicide. It was published in New Statesman on National Poetry Day, October 2010. Poet Laureate Carol Ann Duffy told Channel 4 News that the poem was "the darkest poem he has ever written" and said that for her it was "almost unbearable to read." In 2011, several previously unpublished letters from Hughes to Craig Raine were published in the literary review Areté. They relate mainly to the process of editing Shakespeare and the Goddess of Complete Being, and also contain a sequence of drafts of letters in which Raine attempts to explain to Hughes his disinclination to publish Hughes's poem The Cast in an anthology he was editing, on the grounds that it might open Hughes to further attack on the subject of Sylvia Plath. "Dear Ted, Thanks for the poem. It is very interesting and would cause a minor sensation" (4 April 1997). The poem was eventually published in Birthday Letters and Hughes makes a passing reference to this then unpublished collection: "I have a whole pile of pieces that are all – one way or another – little bombs for the studious and earnest to throw at me" (5 April 1997). Hughes's earlier poetic work is rooted in nature and, in particular, the innocent savagery of animals, an interest from an early age. He wrote frequently of the mixture of beauty and violence in the natural world. Animals serve as a metaphor for his view on life: animals live out a struggle for the survival of the fittest in the same way that humans strive for ascendancy and success. Examples can be seen in the poems "Hawk Roosting" and "Jaguar". The West Riding dialect of Hughes's childhood remained a staple of his poetry, his lexicon lending a texture that is concrete, terse, emphatic, economical yet powerful. The manner of speech renders the hard facts of things and wards off self-indulgence. A memorial walk was inaugurated in 2005, leading from the Devon village of Belstone to Hughes's memorial stone above the River Taw, on Dartmoor, and in 2006 a Ted Hughes poetry trail was built at Stover Country Park, also in Devon. On 28 April 2011, a memorial plaque for Hughes was unveiled at North Tawton by his widow Carol Hughes. At Lumb Bridge near Pecket Well, Calderdale is a plaque, installed by The Elmet Trust, commemorating Hughes's poem "Six Young Men", which was inspired by an old photograph of six young men taken at that spot. The photograph, taken just before the First World War, was of six young men who were all soon to lose their lives in the war. A Ted Hughes Festival is held each year in Mytholmroyd, led by the Elmet Trust, an educational body founded to support the work and legacy of Hughes. In 2010, it was announced that Hughes would be commemorated with a memorial in Poets' Corner in Westminster Abbey. On 6 December 2011, a slab of Kirkstone green slate was ceremonially placed at the foot of the memorial commemorating T. S. Eliot. Poet Seamus Heaney and actress Juliet Stevenson gave readings at the ceremony, which was also attended by Hughes's widow Carol and daughter Frieda, and by the poets Simon Armitage, Blake Morrison, Andrew Motion and Michael Morpurgo. Motion paid tribute to Hughes as "one of the two great poets of the last half of the last century" (the other being Philip Larkin). Hughes's memorial stone bears lines from "That Morning", a poem recollecting the epiphany of a huge shoal of salmon flashing by as he and his son Nicholas waded a stream in Alaska: "So we found the end of our journey / So we stood alive in the river of light / Among the creatures of light, creatures of light." In October 2015, the BBC Two major documentary Ted Hughes: Stronger Than Death examined Hughes's life and work. The programme included contributions from poets Simon Armitage and Ruth Fainlight, broadcaster Melvyn Bragg, biographers Elaine Feinstein and Jonathan Bate, activist Robin Morgan, critic Al Alvarez, publicist Jill Barber, friend Ehor Boyanowsky, patron Elizabeth Sigmund, friend Daniel Huws, Hughes's US editor Frances McCullough and younger cousin Vicky Watling. His daughter Frieda spoke for the first time about her father and mother. In November 2018 Dr Hannah Roche, a lecturer in English at the University of York, suggested that Hughes' poem "Pike" had an unacknowledged debt to a poem by the American poet Amy Lowell. In her paper "Myths, Legends, and Apparitional Lesbians", published in the academic journal Modernist Cultures, Roche pinpointed similarities between the poems. Hughes archival material is held by institutions such as Emory University, Atlanta and Exeter University. In 2008, the British Library acquired a large collection comprising over 220 files containing manuscripts, letters, journals, personal diaries and correspondence. The library archive is accessible through the British Library website. Inspired by Hughes's Crow the German painter Johannes Heisig created a large painting series in black and white which was presented to the public for the first time on the occasion of Berlin Museum Long Night in August 2011 at the SEZ Berlin. In 2009, the Ted Hughes Award for new work in poetry was established with the permission of Carol Hughes. The Poetry Society notes "the award is named in honour of Ted Hughes, Poet Laureate, and one of the greatest twentieth century poets for both children and adults”. Members of the Poetry Society and Poetry Book Society recommend a living UK poet who has completed the newest and most innovative work that year, "highlighting outstanding contributions made by poets to our cultural life." The £5,000 prize funded from the annual honorarium that Poet Laureate Carol Ann Duffy receives as Laureate from The Queen. 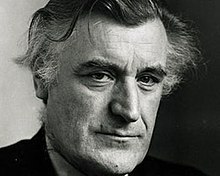 The Ted Hughes Society, founded in 2010, publishes a peer-reviewed on-line journal, which can be downloaded by members. Its website also publishes news, and has articles on all Hughes's major works for free access. The Society staged Hughes conferences in 2010 and 2012 at Pembroke College, Cambridge, and will continue to stage conferences elsewhere. On 16 November 2013, Hughes's former hometown of Mexborough held a special performance trail, as part of its "Right Up Our Street" project, celebrating the writer's connection with the town. The free event included a two-hour ramble through Mexborough following the route of young Hughes's paper round. Participants visited some of the important locations which influenced the poet, with the trail beginning at Hughes's former home, which is now a furniture shop. The Elmet Trust, founded in 2006, celebrates the life and work of Ted Hughes. The Trust looks after Hughes's birthplace in Mytholmroyd, which is available as a holiday let and writer's retreat. The Trust also runs Hughes-related events, including an annual Ted Hughes Festival. 1968 Yehuda Amichai, Selected Poems by Yehuda Amichai, Cape Goliard Press (London, England), revised edition published as Poems, Harper (New York, NY), 1969. 1995 The Dreamfighter, and Other Creation Tales, Faber and Faber, London, England. 1995 Difficulties of a Bridegroom: Collected Short Stories, Picador, New York, NY. 1967 Poetry Is, Doubleday, New York. 1967 Poetry in the Making: An Anthology of Poems and Programmes from "Listening and Writing, Faber and Faber, London. 1992, revised and corrected 1993 Shakespeare and the Goddess of Complete Being, Farrar, Straus and Giroux, New York. 1993 A Dancer to God Tributes to T. S. Eliot. (Ed) Farrar, Straus, and Giroux, New York. 1994 Winter Pollen: Occasional Prose, (essay collection) Edited by William Scammell, Faber and Faber (London), Picador USA (New York) 1995. The Wound (radio play), broadcast, 1962. The Coming of the Kings and Other Plays (jbased on juvenile work). The Price of a Bride (juvenile, radio play), broadcast, 1966. Adapted Seneca's Oedipus, produced in London, 1968). Orghast (with Peter Brook), produced in Persepolis, Iran, 1971. Eat Crow, Rainbow Press, London, England, 1971. The Iron Man, juvenile, televised, 1972. Many of Ted Hughes's poems have been published as limited-edition broadsides. Hughes's 1993 River anthology was the inspiration for the 2000 River cello concerto by British composer Sally Beamish. Selected stories from Hughes' How the Whale Became and The Dreamfighter were adapted into a family opera by composer Julian Philips and writer Edward Kemp, entitled How the Whale Became. Commissioned by the Royal Opera House, the opera was premiered in December 2013. Hughes was portrayed by Daniel Craig in the 2003 film Sylvia. ^ "Philip Hensher reviews Collected Works of Ted Hughes, plus other reviews". Daily Telegraph. April 2004. Archived from the original on 22 February 2004. ^ Bate, Jonathan (2015). Ted Hughes: The Unauthorised Life. HarperCollins. ISBN 978-0-0081-182-28. ^ Kean, Danuta (11 April 2017). "Unseen Sylvia Plath letters claim domestic abuse by Ted Hughes". The Guardian. ISSN 0261-3077. Retrieved 11 February 2019. ^ a b "Exclusive: Ted Hughes's poem on the night Sylvia Plath died". Retrieved 11 April 2017. ^ "Ted Hughes Homepage". ann.skea.com. Retrieved 30 September 2008. ^ "Gerald Hughes, brother of Ted – obituary". 15 August 2016. Retrieved 1 December 2018 – via www.telegraph.co.uk. ^ Sagar, Keith (1983). The Achievement of Ted Hughes. Manchester University Press. p. 9. ISBN 978-0-7190-0939-6. ^ "Ted Hughes Timeline - publications, life-events etc". Retrieved 11 April 2017. ^ "Tobias Hill: Tales from decrypt". 9 August 2003. Retrieved 23 June 2017. ^ "Sylvia Plath and Ted Hughes talk about their relationship", Guardian, 15 April 2010. Excerpt taken from British Library's sound archive, published on the audio CD The Spoken Word: Sylvia Plath. ^ a b "The Thought Fox - poetryarchive.org". Retrieved 11 April 2017. ^ Kean, Danuta (11 April 2017). "Unseen Sylvia Plath letters claim domestic abuse by Ted Hughes". The Guardian. Retrieved 11 April 2017. ^ Gifford, Terry (2009). Ted Hughes. Taylor & Francis US. p. 15. ISBN 978-0-415-31189-2. ^ "Ted Hughes". 11 April 2017. Retrieved 11 April 2017. ^ a b c d Phegley, Jennifer; Badia, Janet (2005). Reading Women Literary Figures and Cultural Icons from the Victorian Age to the Present. p. 252. ISBN 978-0-8020-8928-1. ^ "Sisterhood is powerful : an anthology of writings from the women's liberation movement (Book, 1970)". [WorldCat.org]. Retrieved 8 May 2015. ^ Robin Morgan. "Monster: Poems by Robin Morgan — Reviews, Discussion, Bookclubs, Lists". Goodreads.com. Retrieved 13 April 2017. ^ "Rhyme, reason and depression". (16 February 1993). The Guardian. Retrieved 9 July 2010. ^ Nadeem Azam (2001). "''Ted Hughes: A Talented Murderer'' Guardian article on Hughes' relationship with Plath and Welville 11 December 2001". The Guardian. London. Retrieved 17 February 2018. ^ Yehuda Koren and Eilat Negev (19 October 2006). "''Written out of history'' Guardian article on Wevill and Hughes 19 October 2006". The Guardian. London. Retrieved 27 April 2010. ^ a b communication, ggh marketing. "North Tawton Blue Plaque for Ted Hughes". Retrieved 11 April 2017. ^ Guttridge, Peter (7 January 2016). "Olwyn Hughes: Literary agent who fiercely guarded the work of her brother, Ted Hughes, and his wife, Sylvia Plath". The Independent. Retrieved 10 January 2016. ^ a b "Guardian children's fiction prize relaunched: Entry details and list of past winners". The Guardian 12 March 2001. Retrieved 1 August 2012. ^ "The Westcountry Rivers Trust Story". Westcountry Rivers Trust News. 25 May 2017. Retrieved 16 June 2017. ^ Boyanowsky, Ehor (2010). Savage Gods, Silver Ghosts In the Wild With Ted Hughes. Douglas & McIntyre Limited. p. 195. ISBN 978-1-55365-323-3. ^ "Tragic poet Sylvia Plath's son kills himself". CNN. 23 March 2009. Retrieved 16 July 2010. ^ "My life with Ted: Hughes’s widow breaks silence to defend his name". Valentine Low. The Times. 7 January 2013. Retrieved 21 May 2015. ^ "Ted and I: A Brother's Memoir by Gerald Hughes". Kirkus Reviews. 15 October 2014. Retrieved 21 May 2015. ^ a b "Unseen Sylvia Plath letters claim domestic abuse by Ted Hughes | Books". The Guardian. Retrieved 13 April 2017. ^ "Richard Price, Ted Hughes and the Book Arts". Hydrohotel.net. 17 August 1930. Retrieved 27 April 2010. ^ "Shakespeare and the Goddess of Complete Being". Faber.co.uk. Archived from the original on 1 January 2011. Retrieved 23 June 2017. ^ "Life – The Ted Hughes Society Journal". Thetedhughessociety.org. Archived from the original on 12 August 2014. Retrieved 7 August 2014. ^ "Rain Charm for the Duchy, Ted Hughes". Faber.co.uk. 22 June 1992. Archived from the original on 10 August 2014. Retrieved 7 August 2014. ^ "Ted Hughes wins Whitbread prize". 13 January 1999. Retrieved 11 April 2017. ^ "Newly discovered Ted Hughes poem". Retrieved 11 April 2017. ^ Ted Hughes Memorial Walk (31 January 2008). "BBC Devon – Ted Hughes memorial". Bbc.co.uk. Retrieved 27 April 2010. ^ "Stover Country Park – Ted Hughes Poetry Trail". Devon County Council. Archived from the original on 10 September 2015. ^ "Geograph:: Ted Hughes Plaque (C) Peter Worrell". Retrieved 11 April 2017. ^ "theelmettrust.co.uk". Retrieved 11 April 2017. ^ Spector, Felicity. "Ted Hughes memorial marks poetic evolution". Retrieved 11 April 2017. ^ a b "Ted Hughes to take place in Poets' Corner". The Guardian. 6 December 2011. Retrieved 9 December 2011. ^ "Hughes takes his place in Westminster Abbey". The Australian. 8 December 2011. Retrieved 7 December 2011. ^ "BBC Two – Ted Hughes: Stronger Than Death". Bbc.co.uk. 10 October 2015. Retrieved 10 October 2015. ^ Flood, Alison (29 November 2018). "Amy Lowell: Ted Hughes and DH Lawrence 'owe unacknowledged debt' to 'uncelebrated' poet". the Guardian. Retrieved 1 December 2018. ^ Roche, Hannah (1 November 2018). "Myths, Legends, and Apparitional Lesbians: Amy Lowell's Haunting Modernism". Modernist Cultures. 13 (4): 568–589. doi:10.3366/mod.2018.0230. Retrieved 1 December 2018. ^ "Press Office Home - The British Library". Retrieved 11 April 2017. ^ Price, Richard. "Hughes, Ted (1930-1998)". Retrieved 11 April 2017. ^ "Mexborough hosts Ted Hughes' paper trail". Rotherham Advertiser. 12 November 2013. Retrieved 7 August 2014. ^ "Home". Theelmettrust.org. Retrieved 17 April 2016. ^ "On János Pilinszky at his website". Archived from the original on 25 March 2015. Retrieved 23 June 2017. ^ "Sally Beamish website". sallybeamish.com. Archived from the original on 24 September 2015. Retrieved 8 January 2016. ^ The Inventive and beguiling world of Julian Philips, Rachel Beaumont, Royal Opera House. Retrieved 27 August 2018. Drue Heinz (Spring 1995). "Ted Hughes, The Art of Poetry No. 71". The Paris Review.